Huawei Maimang 7 price and sales date outed - Playfuldroid! Last month, Huawei took the wrap off their first device in their latest Mate 20 series and its none other than the Huawei Mate 20 Lite smartphone. Although the device was announced but the Chinese company has remained tight-lipped on its pricing and sales date. 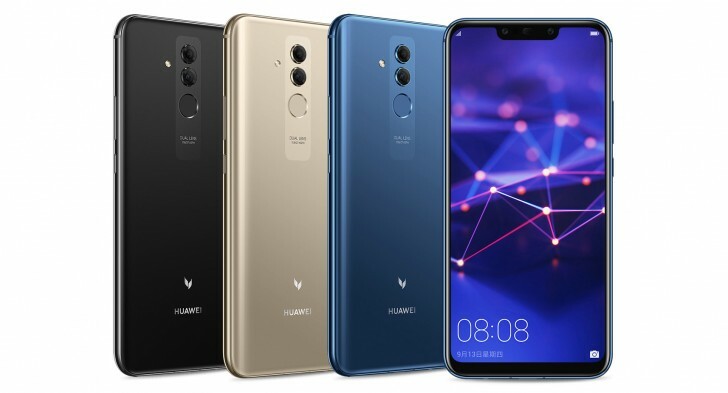 However, things have changed today as the device has been quietly listed on Vmall, Huawei’s own online retailing platform, along with its pricing and sales date. According to the listing, the Mate 20 Lite will be arriving as the Huawei Maimang 7 in the Chinese market. The device will come with a price tag of 2,399 Yuan (US$349) and will go on sale starting September 15th this week. For those who’re interested, there are three color options available for u to choose from namely Platinum Gold, Charm Blue, as well as Bright Black.